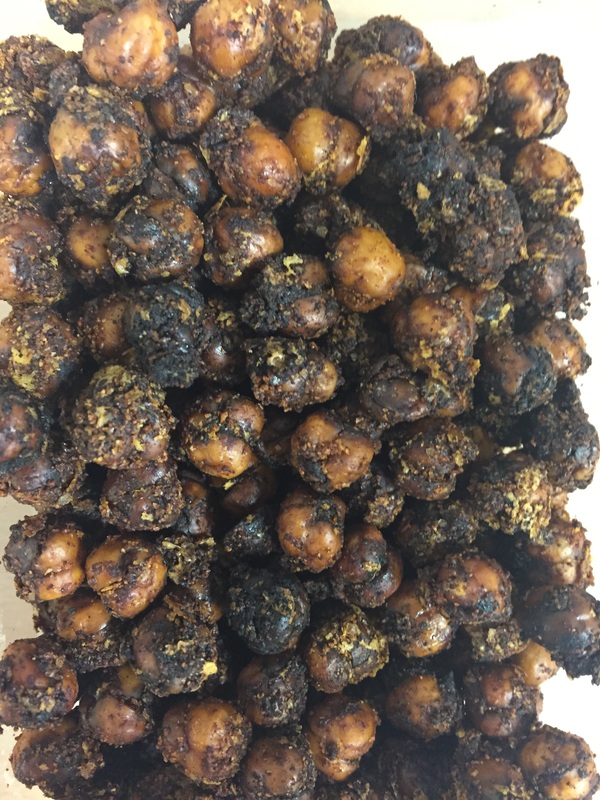 I haven’t posted in a while but I had to share this smoked chickpea recipe. It’s super easy and a perfect snack for the whole family. Preheat oven to Gas 6/400F and line a baking sheet with parchment paper. Peal the skins off the chickpeas (this is a bit time consuming but it’s worth it, I promise) and ensure the resulting peas are thoroughly dried with a cloth. In a bowl, mix the wet ingredients then add the chickpeas. Give a good mix so that the chickpeas are well coated. In a fresh bowl mix the dried ingredients. Pour the chickpeas into the bowl and give a good mix to give each chickpea a generous coating. Transfer the chickpeas to the prepared baking tray. Place the tray in the oven and bake for 40 minutes or until the chickpeas are crispy. You may need to give them an occasional mix. Remove from the oven and allow to cool (if you can restrain yourself) then store in an air tight container for up to seven days. Throw everything in a large bowl and give it a good mix. Chill for 30 minutes before serving. 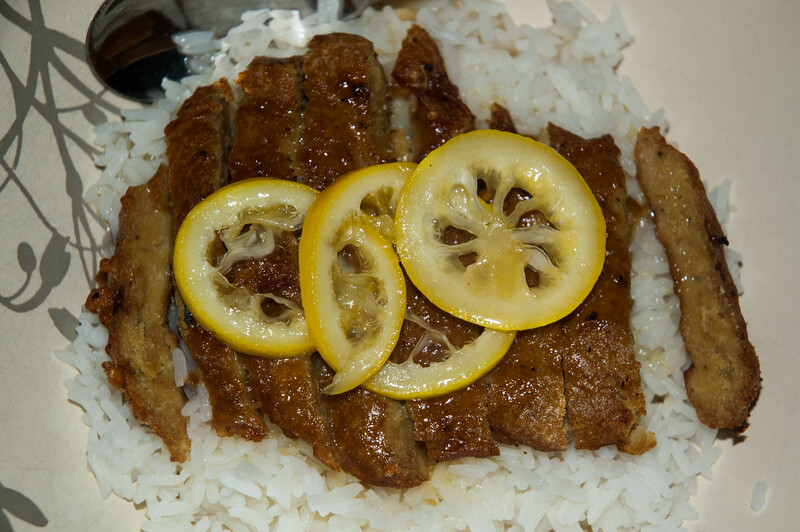 Mix the dry seitan ingredients in a large bowl then add the oil, soy sauce, and ½ cup of the veg stock. Mix well adding more stock as needed (this will vary from batch to batch) until you have a stretchy, moist lump of seitan dough. Knead for a minute then cut/rip into pieces half the size of how big you want the final product to be. Boil a large pan of water/veg stock with a tbsp of soy sauce then turn down to a very gentle simmer (the surface of the water should barely be moving). Drop the seitan pieces into the water and partially cover. Leave to cook for 45 minutes then turn off the heat and leave for another 15 minutes. Mix the coating ingredients in another large bowl. 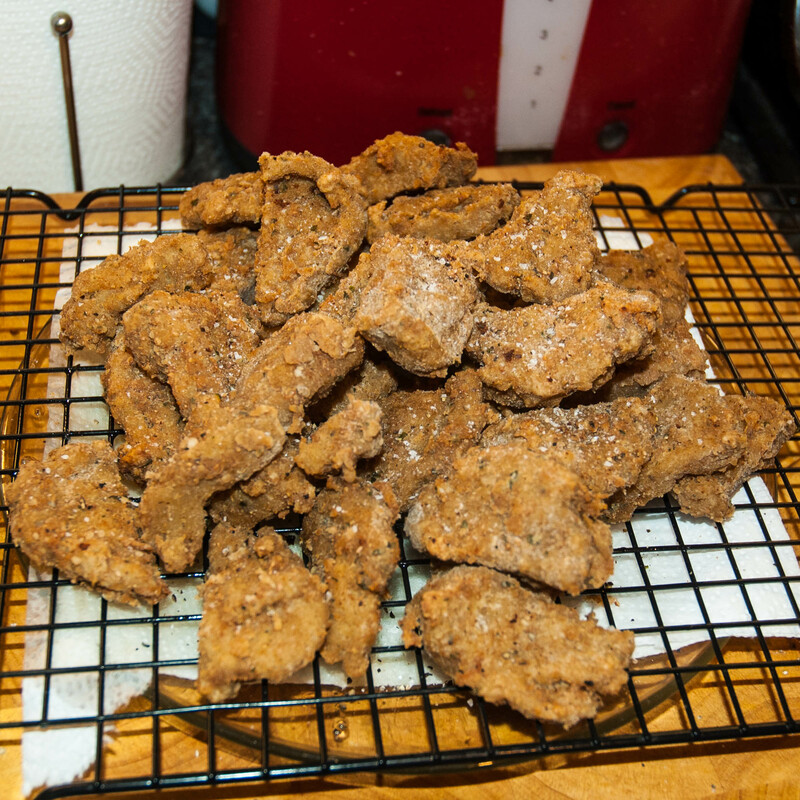 Drain the seitan and leave to cool in a sieve until you are able to handle it without burning yourself (don’t allow to cool completely though) then toss them in the coating mixture. Give a good mix to ensure every piece is fully coated and leave to stand for 10 minutes. 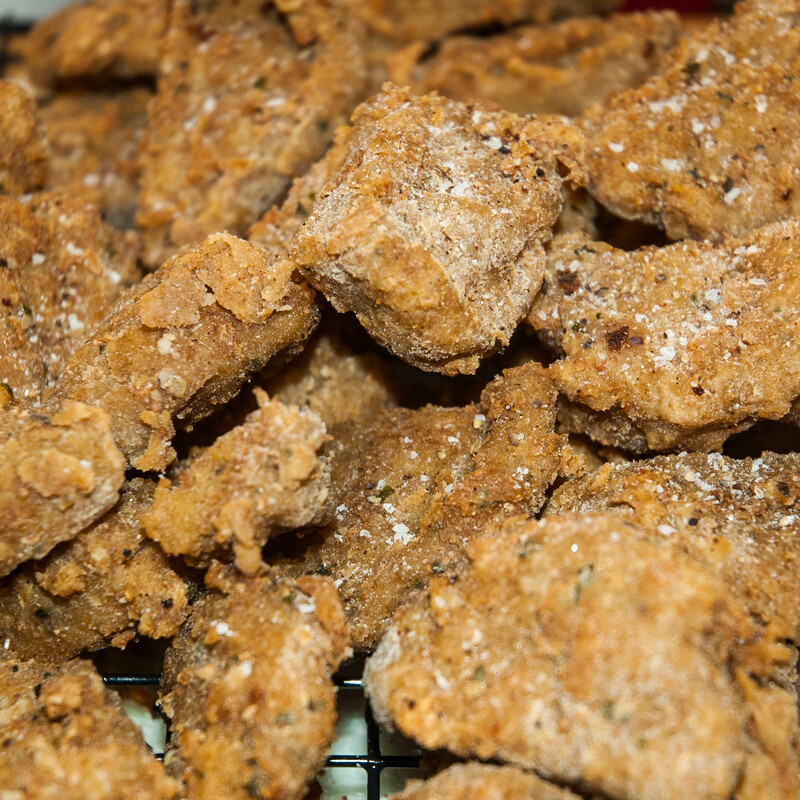 Heat a deep pan of oil until a piece of bread dropped in turns brown in 10-15 seconds then fry the seitan, in batches, until golden brown and crispy. Drain on a wire rack. I don’t know about you but I find I am at my most creative in the kitchen when my purse is empty and all I have to work with is what I have in the house (the longer I have to go without buying fresh ingredients the more creative I get). For this reason I always have dried beans and lentils in the cupboard along with plenty of dried herbs and spices, and a bottle of lemon juice in the fridge. One thing I’ve recently started doing is freezing vegetable waste (peelings and the like) in a bag to use to make vegetable stock which in turn is frozen until I need it. (Thank you Thug Kitchen for that idea!) Today has been one of those days where I haven’t been able to go grocery shopping since before christmas and I really really want some snacks. I had a bar of dairy-free 70% dark chocolate that had bloomed past being edible as is so that was melted down and mixed with some vegan puffed rice to make crispy cakes, then I whipped up some oatmeal cookies using the porridge oats and whole wheat flour I had sitting at the back of the cupboard. 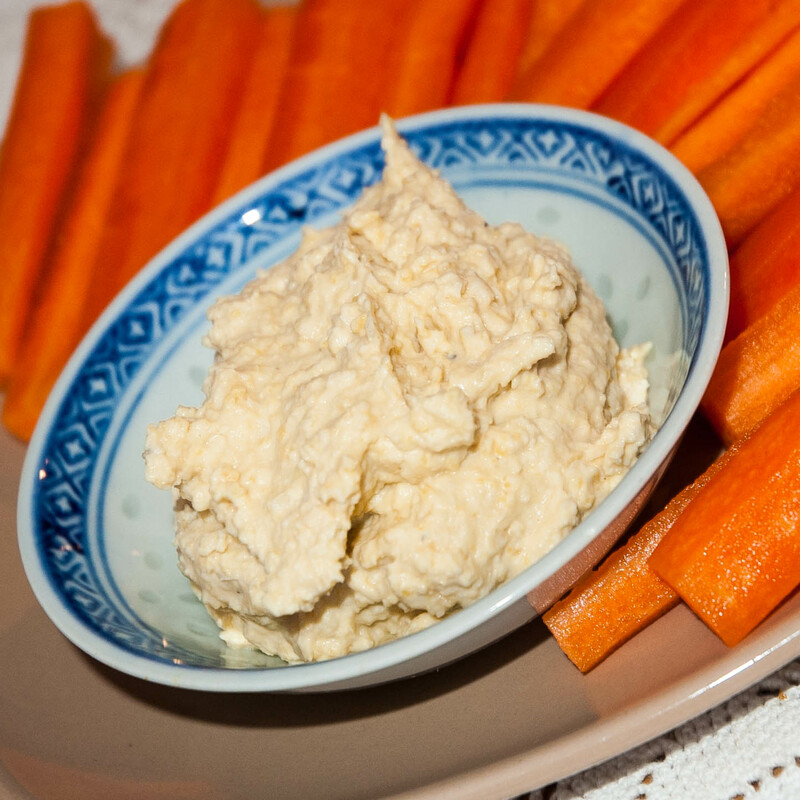 Finally, I made this simple and lower-fat version of houmous which uses vegetable broth to replace most of the oil. At this point I don’t think there is a vegan in Europe who doesn’t know about Lotus Biscoff Spread (also known as Speculoos Spread). It’s the delicious spread made from caramel flavoured biscuits and most of us think of it as crack in a jar because it’s so more-ish. Now you can enjoy that tasty treat in desert form with my Biscoff Cheesecake! Preheat the oven to 325F/163C/Gas 3. Smash the biscuits with the cinnamon in a food processor until they reach a fine crumb. In a small pan melt the margarine with the syrup on a low heat until melted and combined. Pour the margarine mixture into the processor while pulsing until evenly mixed. Press this mixture into the bottom of a 9″ spring-form cake tin to form the base. In a medium bowl, mix together the sugar, yoghurt, flour, milk, vanilla, biscoff spread, and salt. Set aside. In a large mixing bowl, beat the cream cheese until slightly fluffy. Mix in the biscoff mixture. Beat until smooth. Pour the mixture into the tin and gently tap on a flat surface to smooth and release any air bubbles. Bake for 1 1/2 hours (do not open the oven door during this time) then let cool at room temperature overnight. Release the cheesecake from the sides of the tin with a flat knife then release the spring. Place in the fridge to chill. This can be stored in a container at room temperature for a week or in the freezer up to 6 months. It’s less than two weeks until christmas, the ground is frosty and the air is crisp. I’m trying to keep my Christmas binge to Christmas Eve, Day, and Boxing day this year so I’ve been looking at coming up with warming, filling, yummy meals that feels luxurious but are still low in fat. 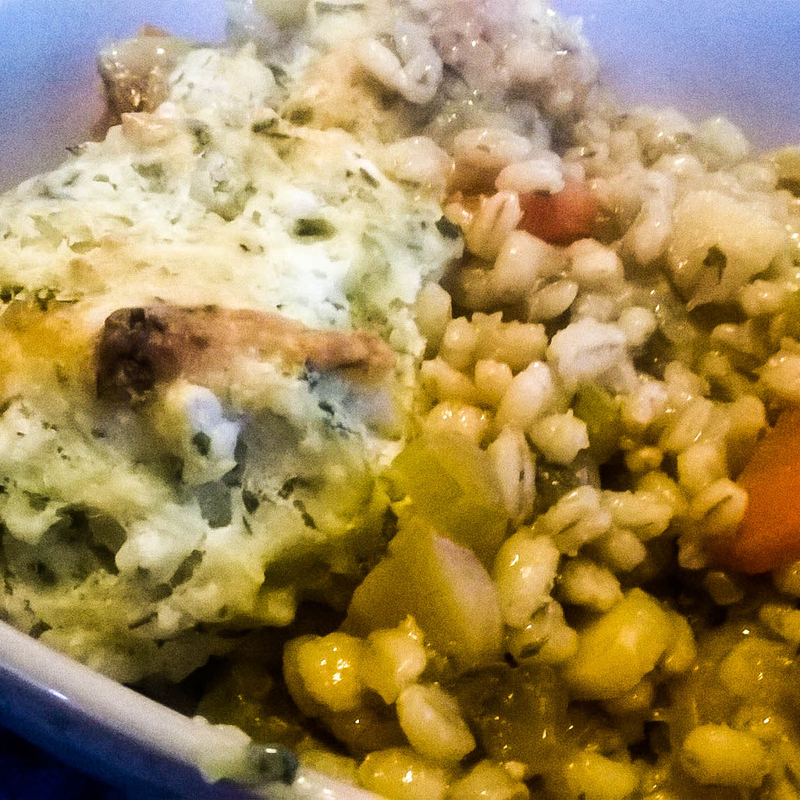 If you want to reduce the fat in this recipe further then skip the dumplings. This serves 4 with the dumplings or 3 without them. 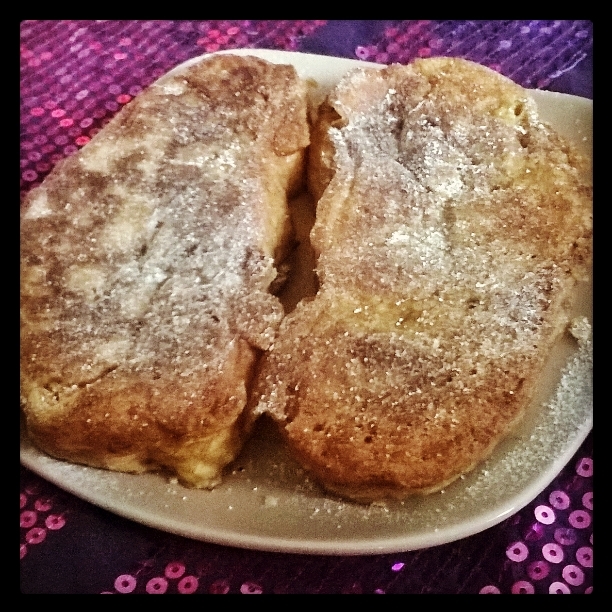 Tastes even better with a rustic loaf! Mix the flour, cinnamon, nutritional yeast, salt, and Vegg (if using) in a bowl and add the vanilla, bannana, and milk. Mix thoroughly then pour into a wide dish. Heat a frying pan over a medium heat and add the butter/margarine. Once hot, dip a slice of bread into the batter coating both sides and place in the frying pan. Cook gently without touching until the botttom is golden brown (3-5 mintutes). Turn and repeat for the other side. Repeat with the other slice. Serve warm, sprinkled with a little icing sugar (powdered sugar).